KUALA LUMPUR: Two Internet companies and their directors were fined a total of RM20 million by the Ampang Sessions Court here for various charges in the issuing of electronic payments unrecognised by Bank Negara Malaysia (BNM), promoting pyramid scheme and involvement in money laundering since 2012. Judge Suzana Hussin handed down the sentence on MFace International Sdn Bhd (Mface), MBI Marketing Sdn Bhd (MBI), Mface director Kau Fong Seng, 35, and MBI director Teow Wooi Huat, 52, after the two men and representatives from the two companies changed their plea to guilty. All the accused had initially pleaded not guilty to the charges and today was fixed for mention. Mface was fined RM7 million for promoting the MFC Club pyramid scheme, which is an offence under Section 27B of the Direct Sales and Anti-Pyramid Scheme Act 1993. The company was also fine RM2.5 million for issuing payment instrument without approval under Section 24(1) of the Payment System Act 2003, and the charge made under Section 25(1) of the same law. Both the offences were committed at No 2, Avenue 1, Ampang Avenue, here between June 3, 2012 and March 17, 2018. The other company, MBI and Teow were fined RM2.5 million and RM3 million, respectively, for issuing payment instrument without approval by Bank Negara at the same place. As for Kau, who is Mface director, he was fined RM5 million for receiving RM8,208,453.32, which were proceeds from unlawful activities through a current account belonging to Mface at the Pandan Indah Maybank branch, Jalan Pandan Indah 4/2, Pandan Indah, here between Jan 6 and Aug 31, 2014. He was charged under Section 4(1) of the Anti-Money Laundering, Anti-Terrorism Financing and Proceeds of Unlawful Activities Act, read together with Section 87(1)(a) of the same law. 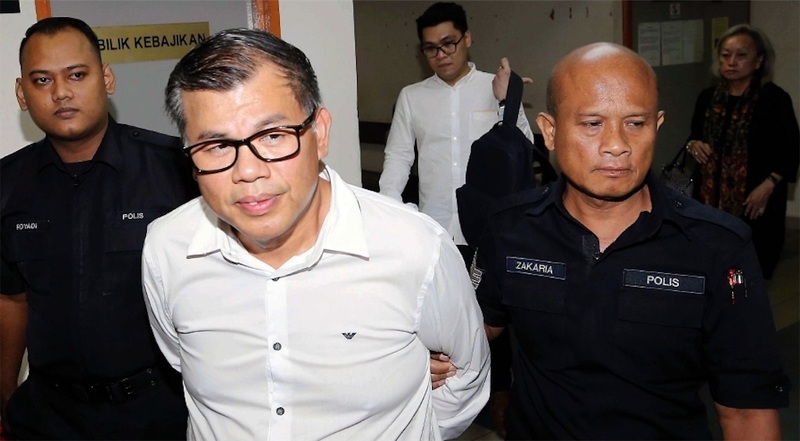 The prosecution was conducted by deputy public prosecutors Nuraswan Aminuddin and Mohd Farizul Hassan Bakri, from the Domestic Trade, Cooperative and Consumerism Ministry, and also Bank Negara prosecuting officer Edward Chan.